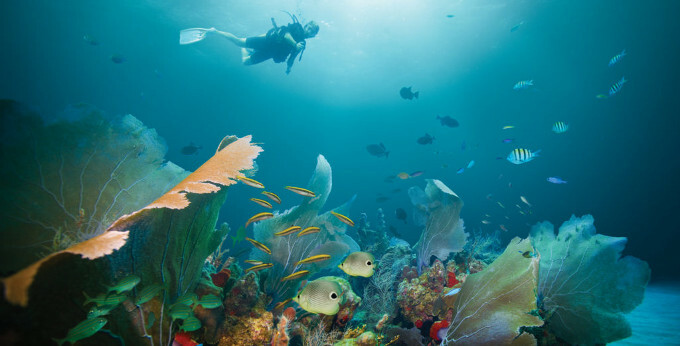 They also love the quiet, and the natural sounds of the birds, the wind and the ocean. 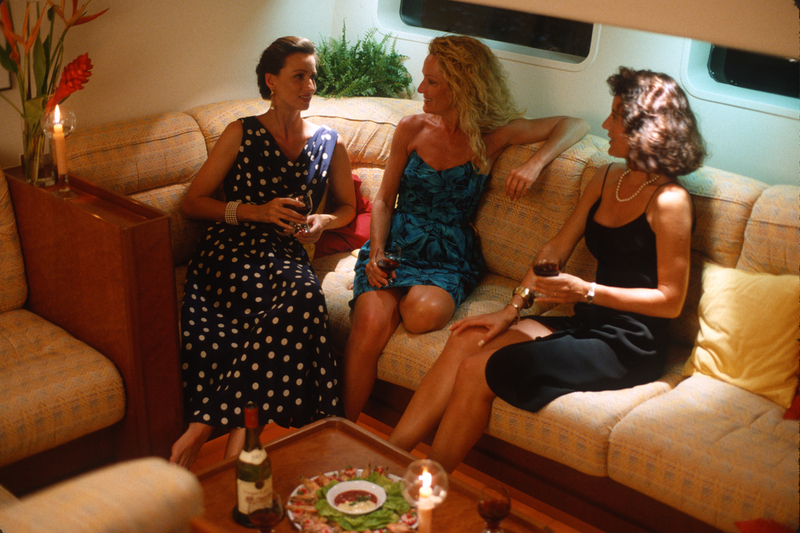 No engines interrupting their reverie. 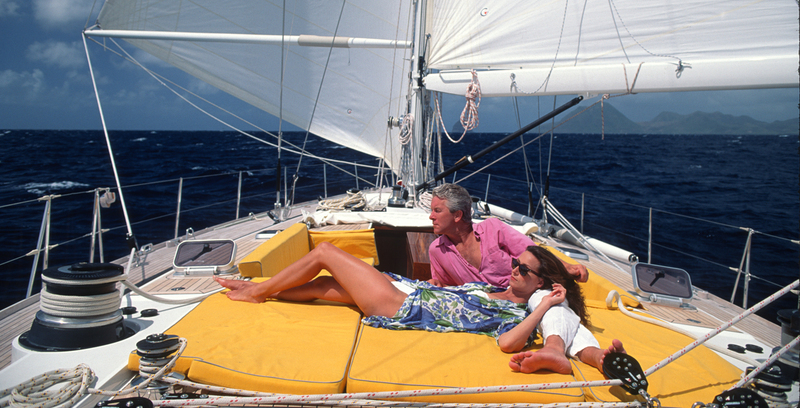 Types of yachts: Our luxury sailing yachts for charter range from a 60’ Beneteau that is ideal for a honeymoon trip to a 300’ Royal Huisman that is perfect for the discerning traveler or a grandparents’ family treat. 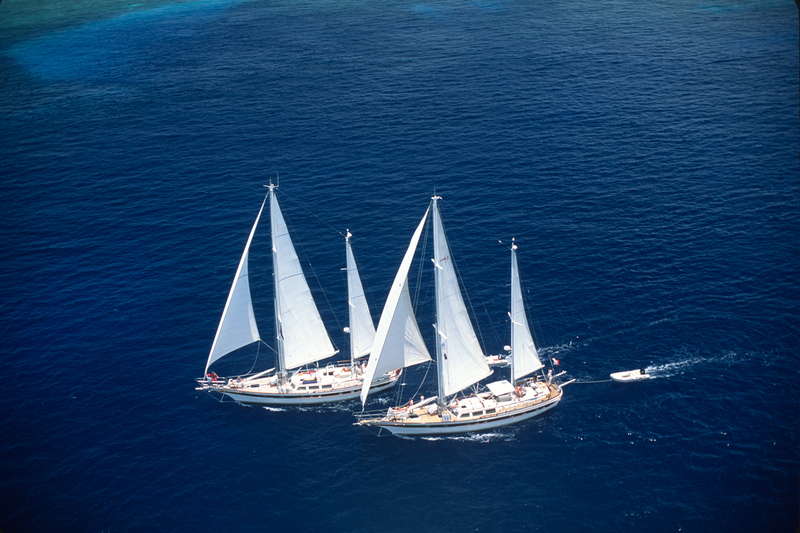 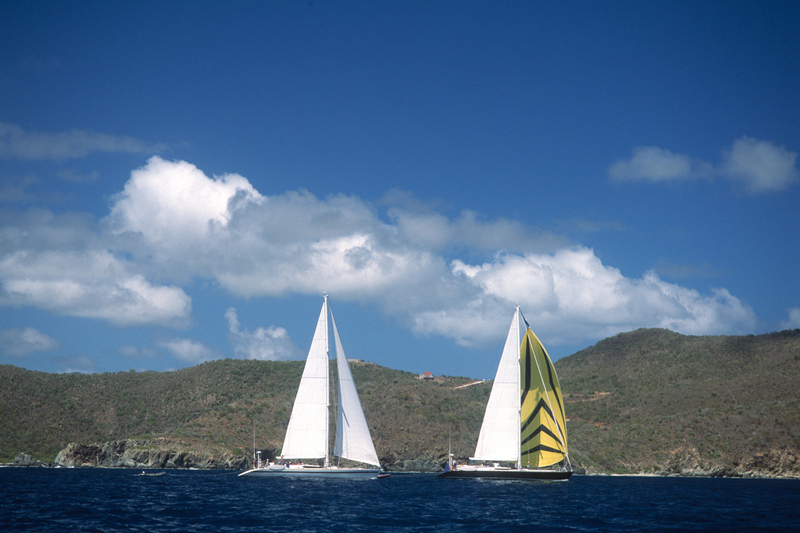 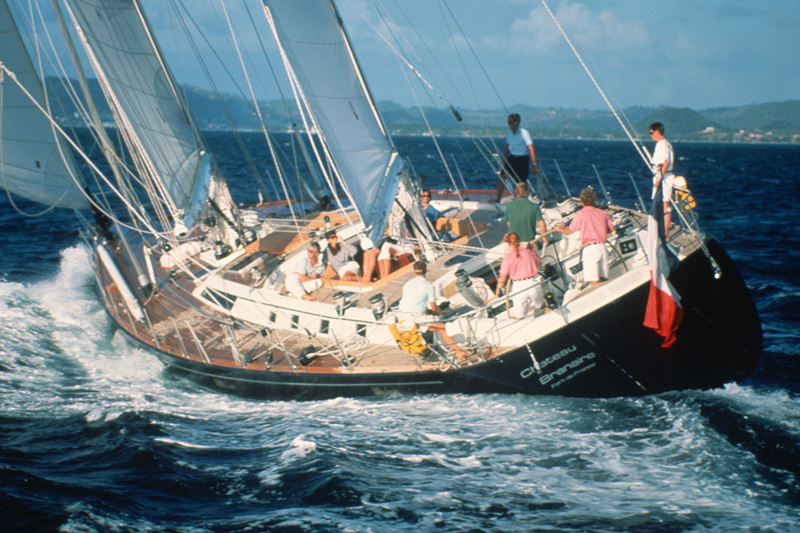 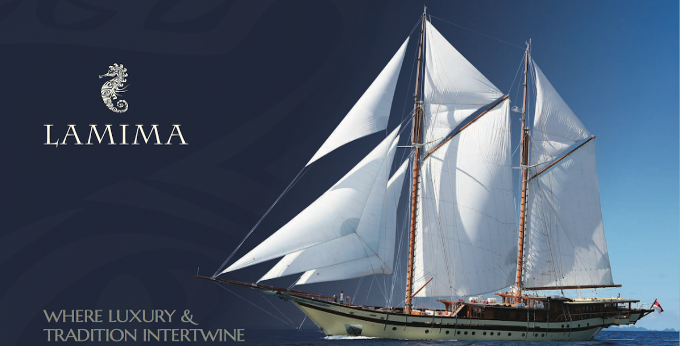 In between we have state of the art Perini Navis, classic sailing schooners, and performance racers. 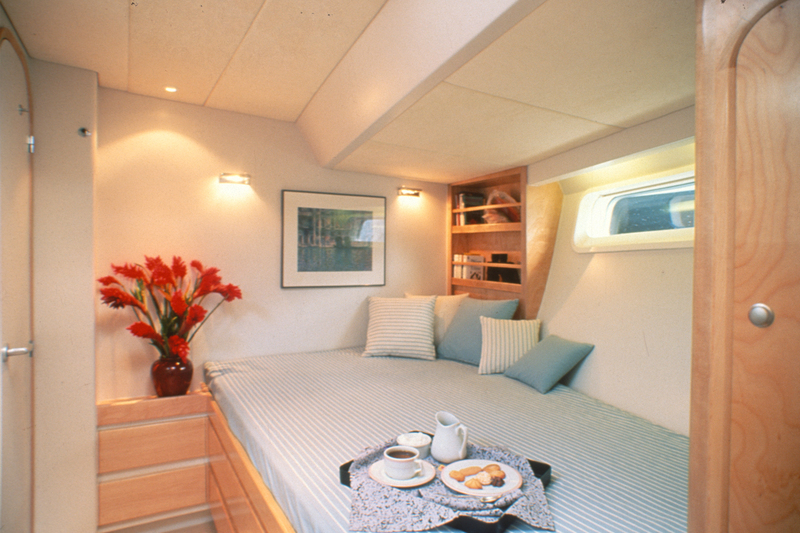 Truly something for all tastes and budgets. 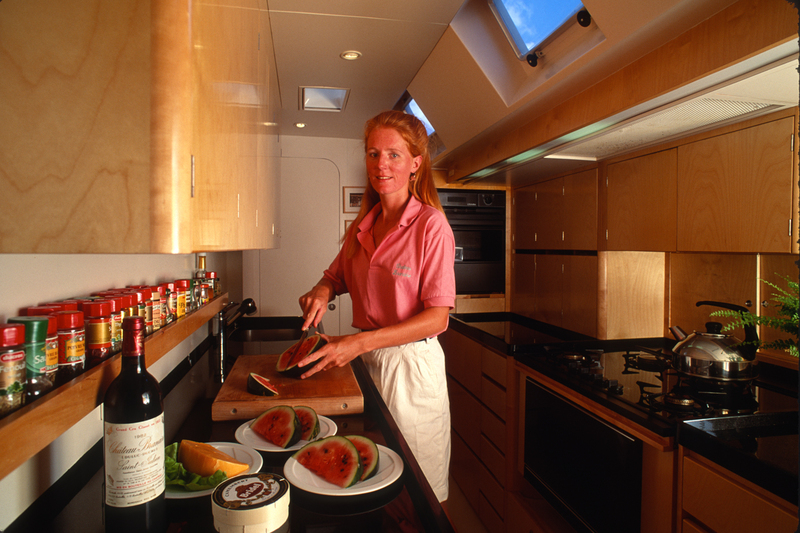 Exterior layout: Most luxury sailing yachts for charter have an expansive deck with a spacious, shaded cockpit, cushioned lounge seating, and a dining area for “al fresco” meals. 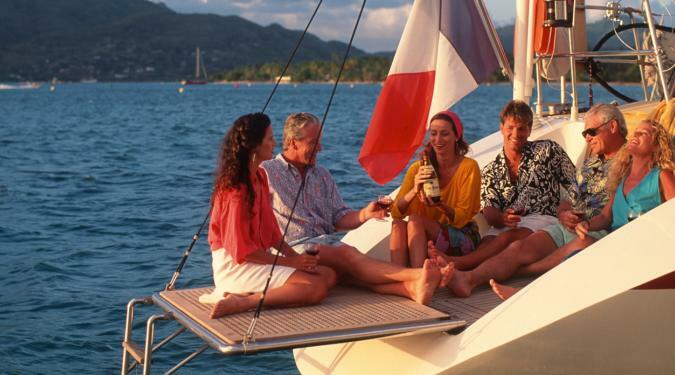 Typically, there are ondeck sun cushions for basking in the sun as well as a swim ladder or platform for quick and easy water access. 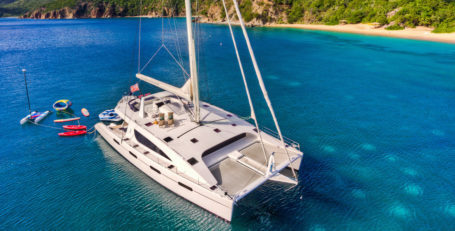 Some of the larger and newer sailing vacation yachts have a Flybridge deck which is a second deck offering more space and incredible views. 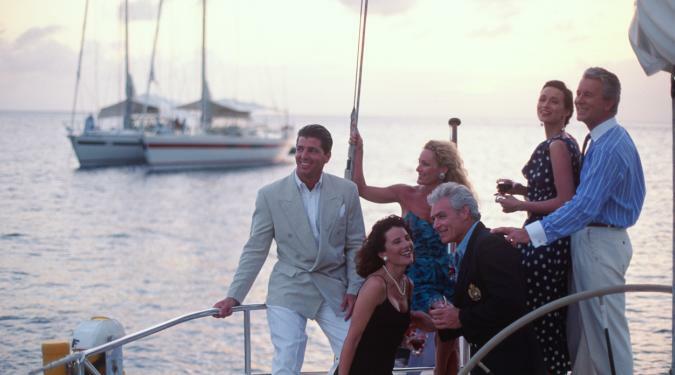 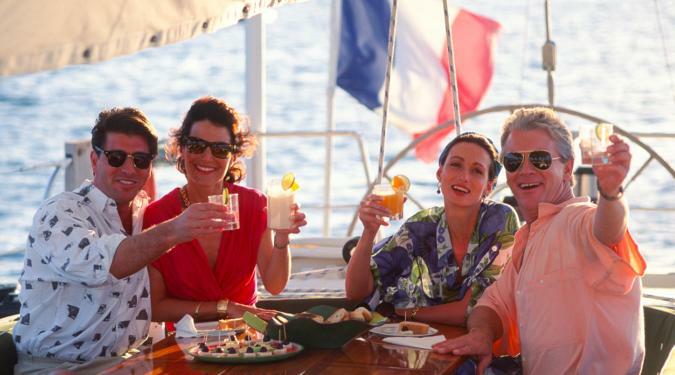 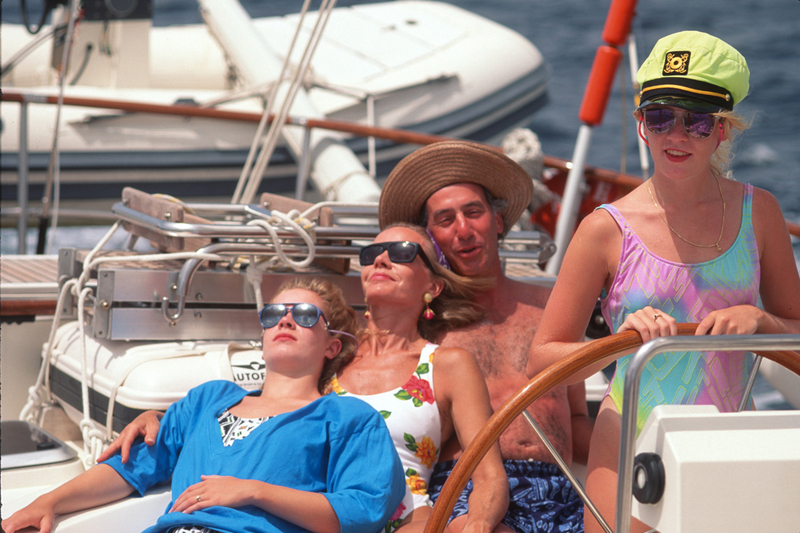 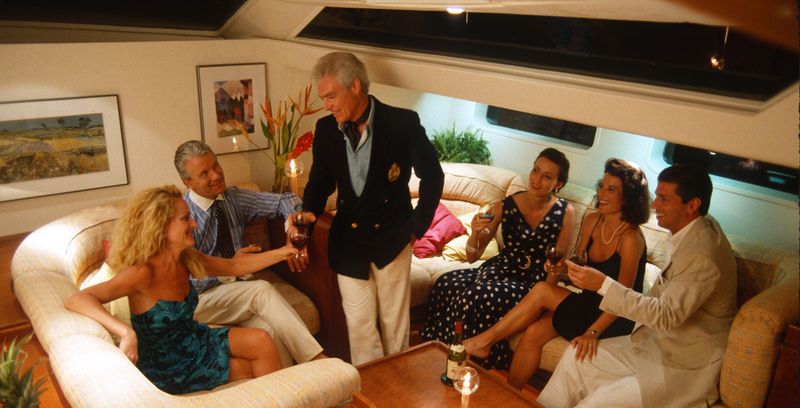 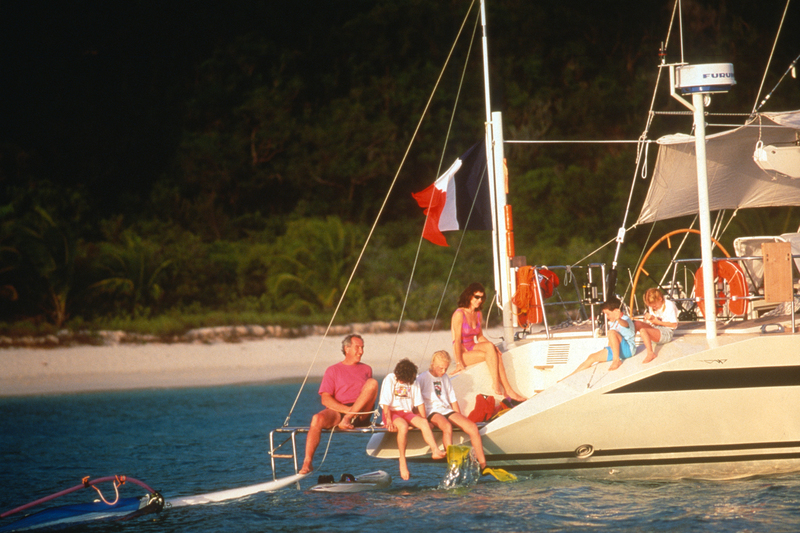 Number of guests and accommodations: Regardless of their size, chartered sailing vacation yachts typically take no more than 12 guests due to international regulations. 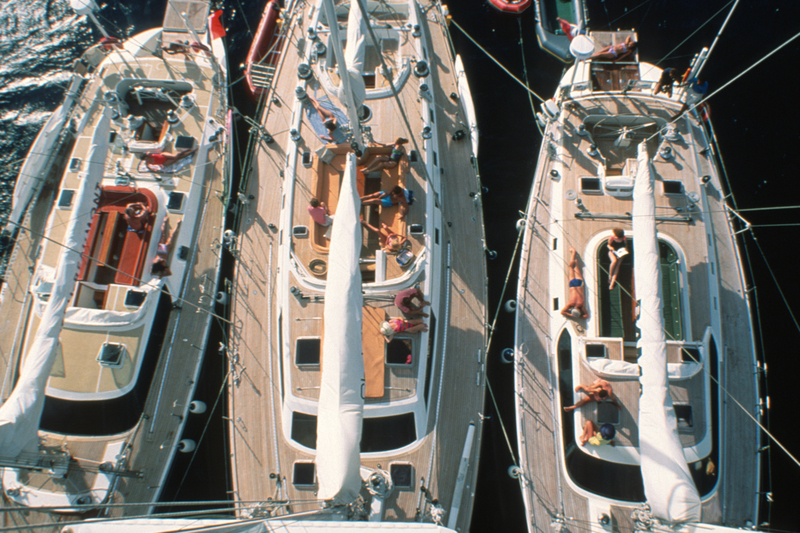 We do have a few Tall Ships that can accommodate more people. 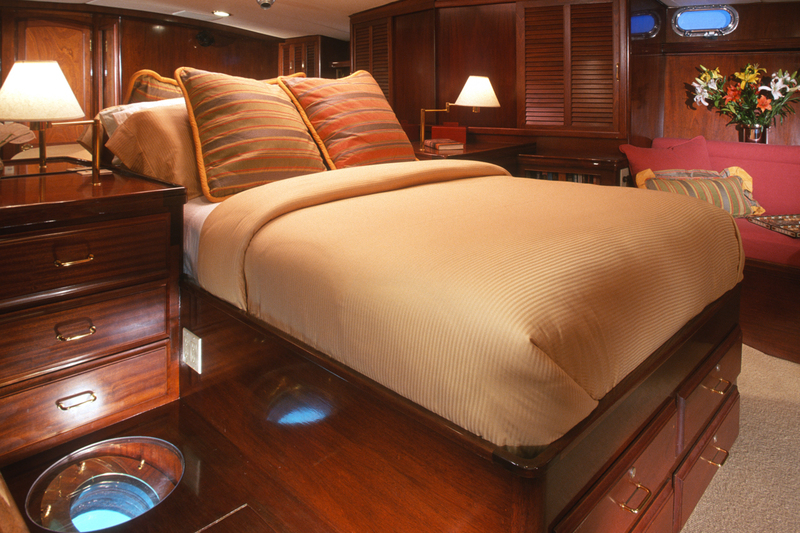 Most have have from 3 to 6 guest cabins with private baths en suite. 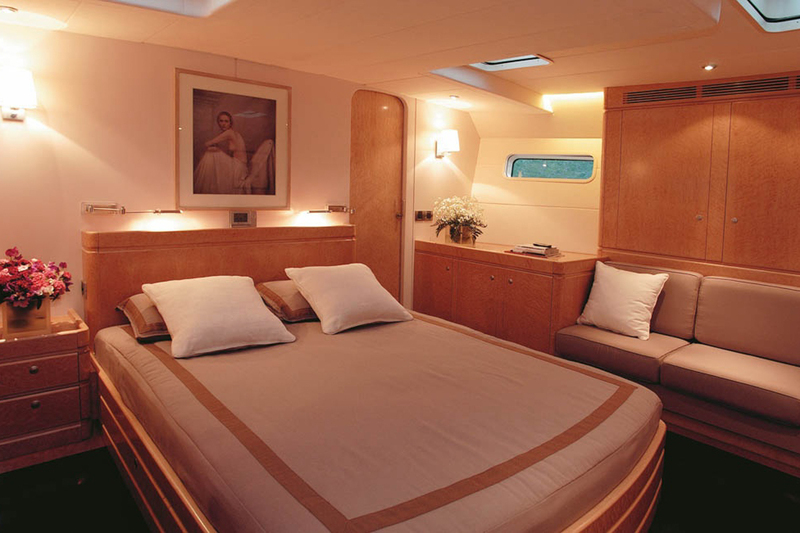 Many different layouts are available - equal cabins, layouts with a VIP suite, cabins with singles... just tell us what you prefer. 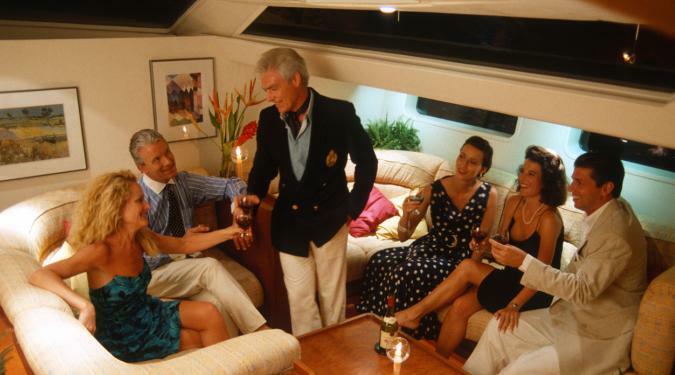 All of them have a luxurious main salon with interior dining and an entertainment center. 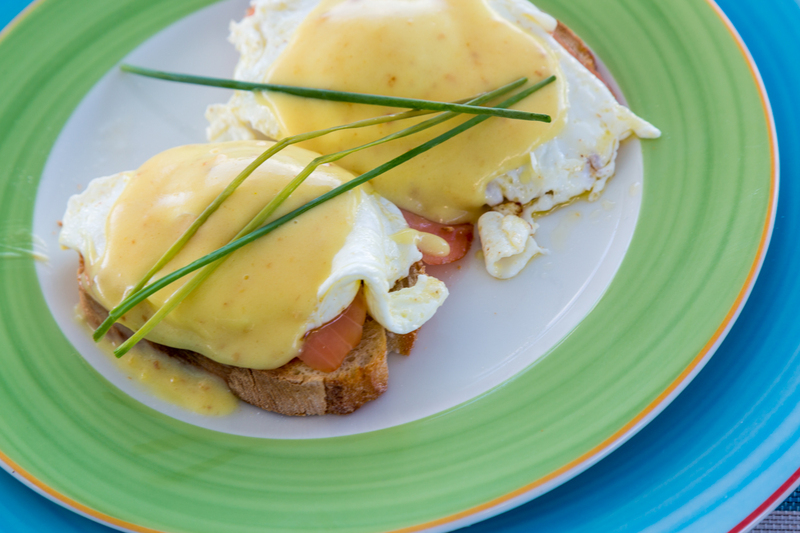 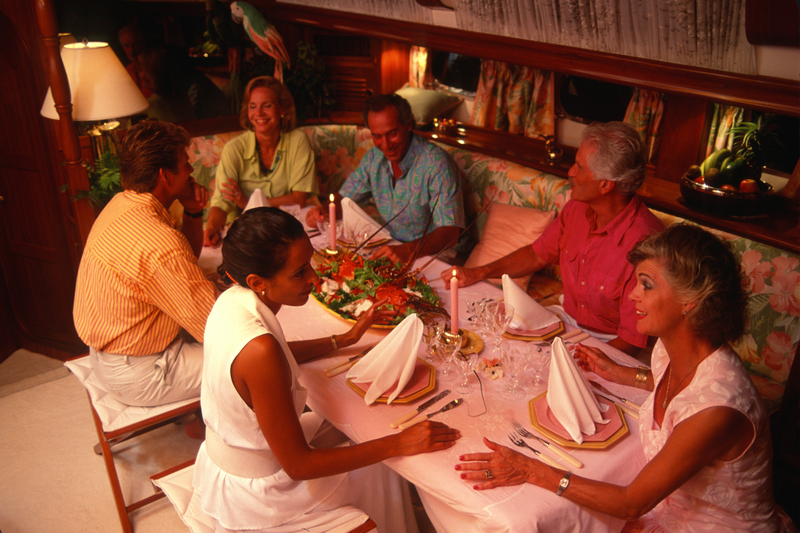 Ambiance and crew: The atmosphere is elegantly casual, like visiting with special friends who are committed to taking very good care of you while at the same time making you feel at home. 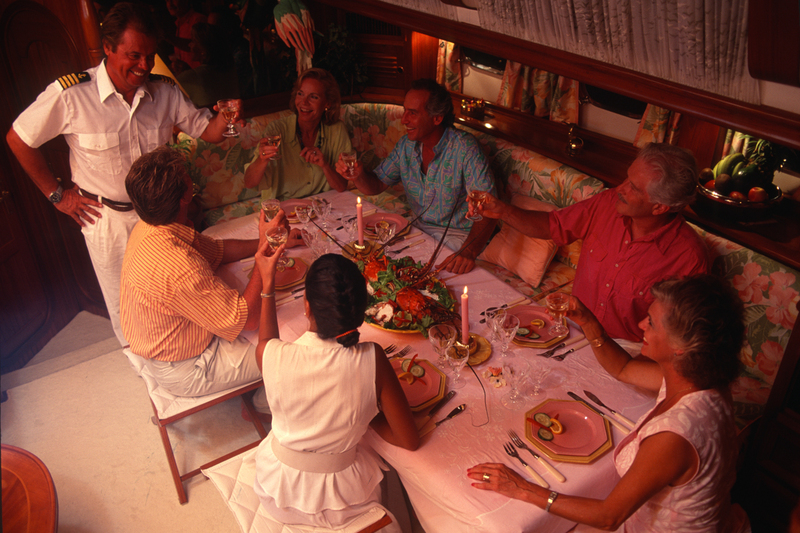 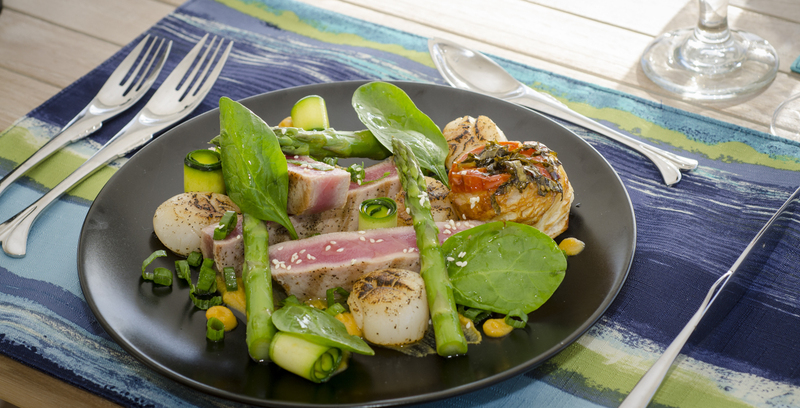 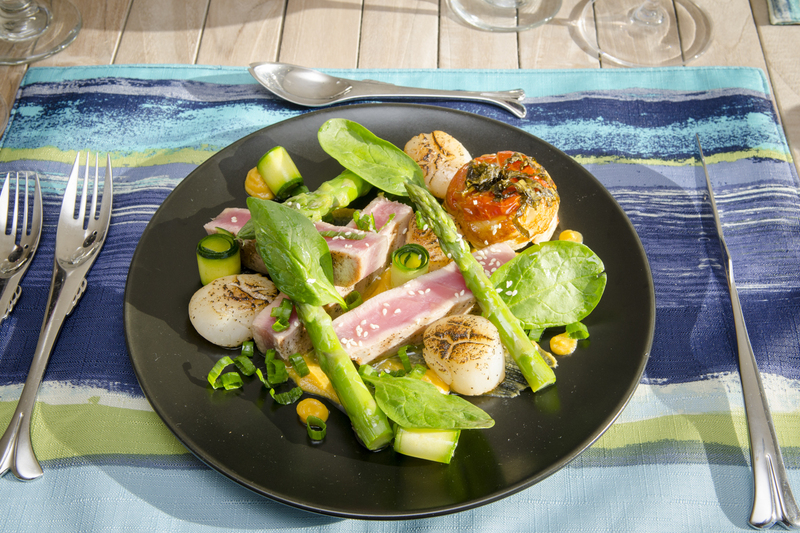 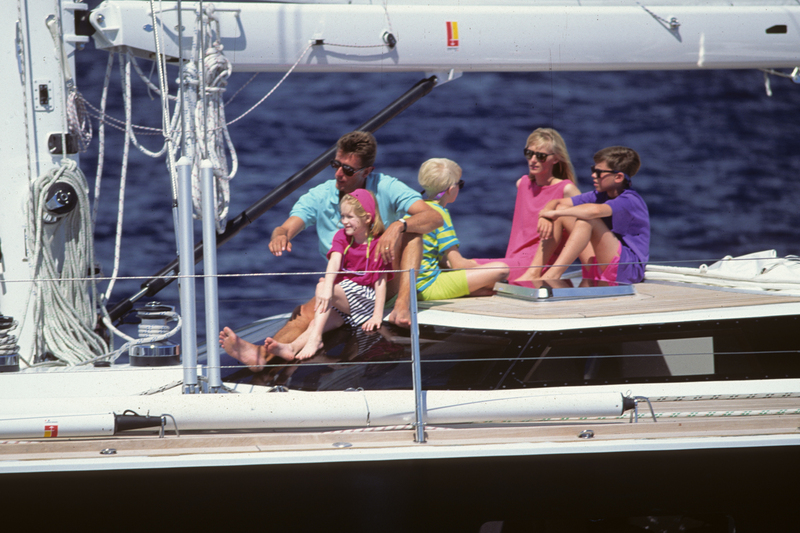 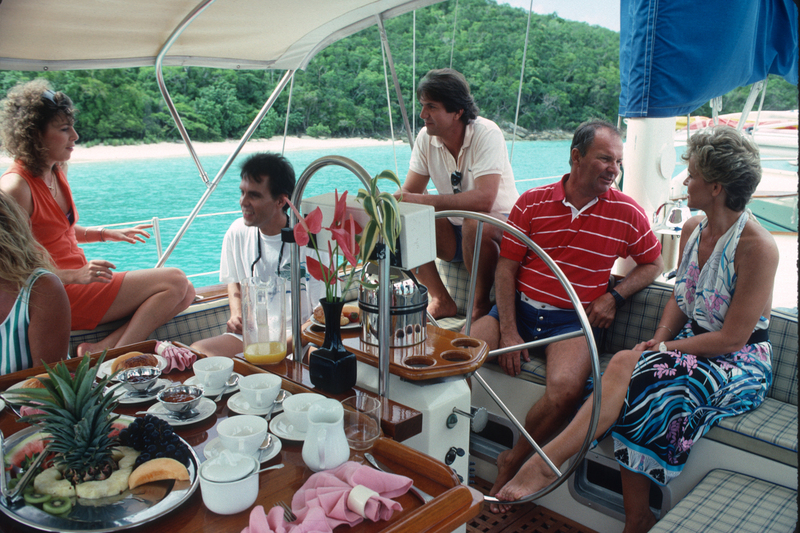 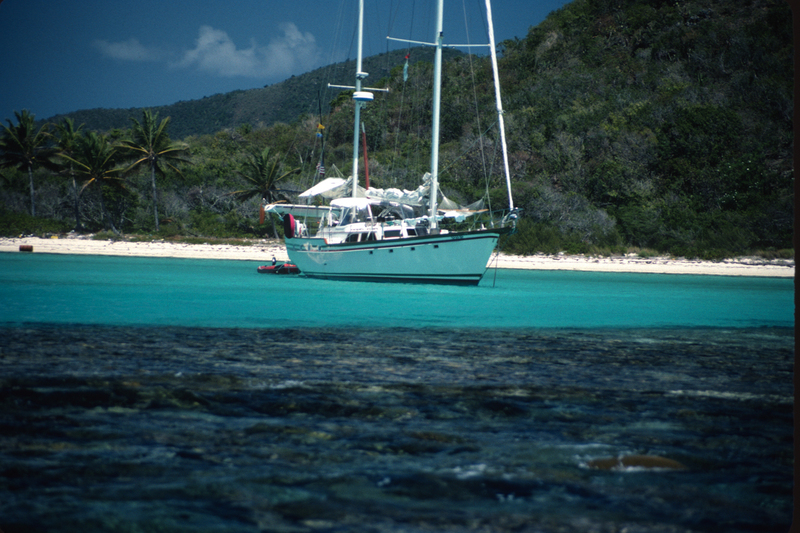 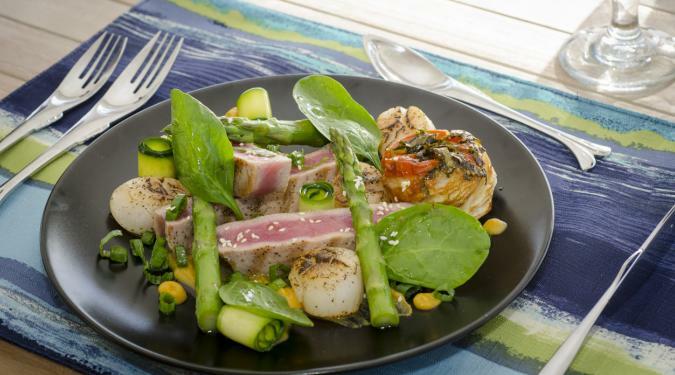 The 60-footers are typically crewed by a licensed captain and gourmet chef, both of whom serve as watersports guides. 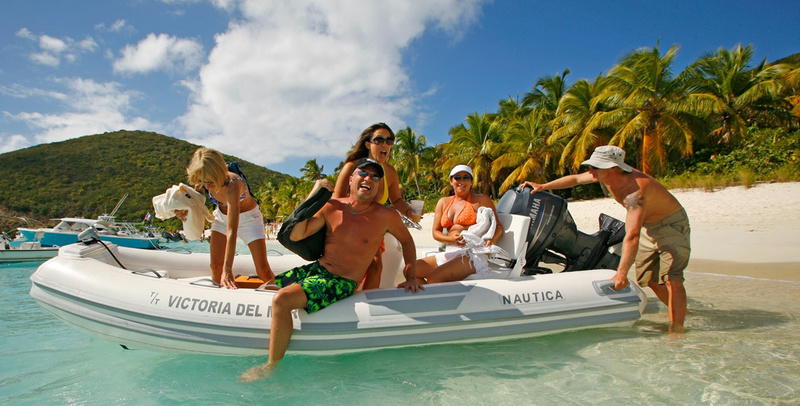 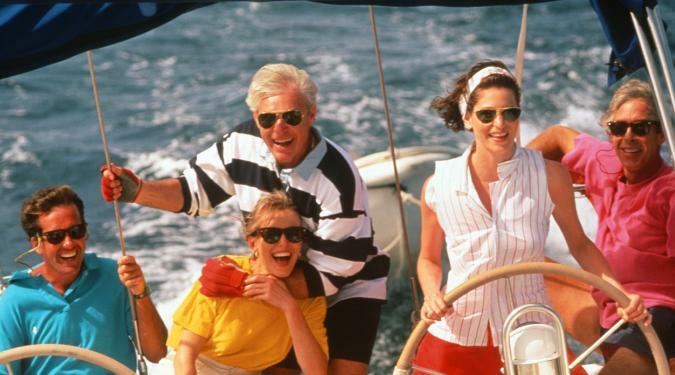 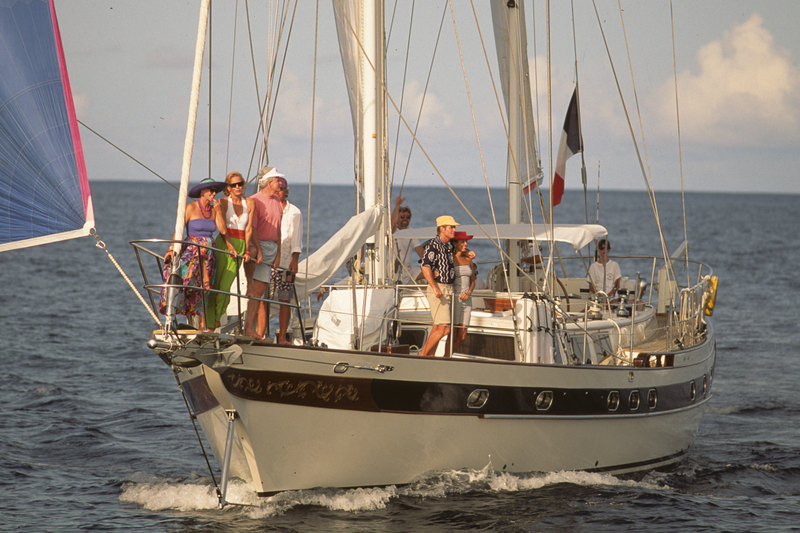 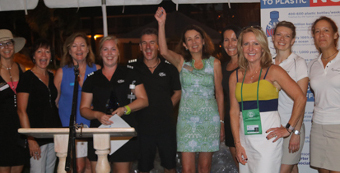 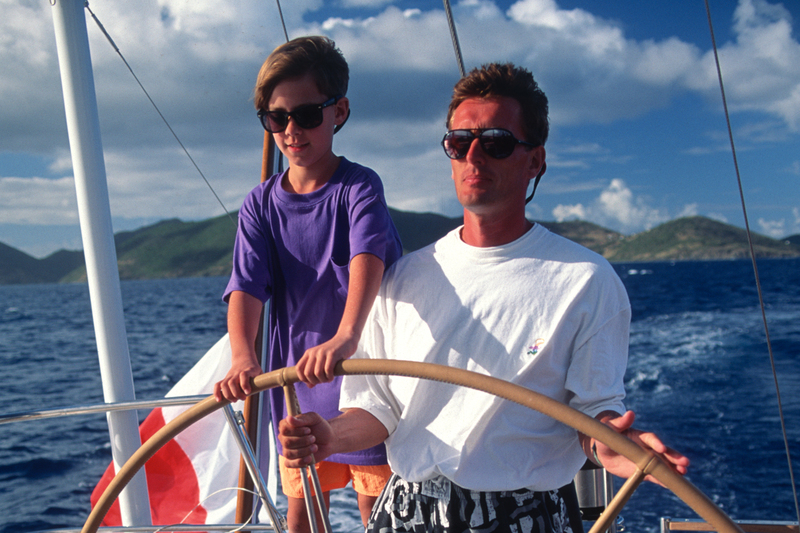 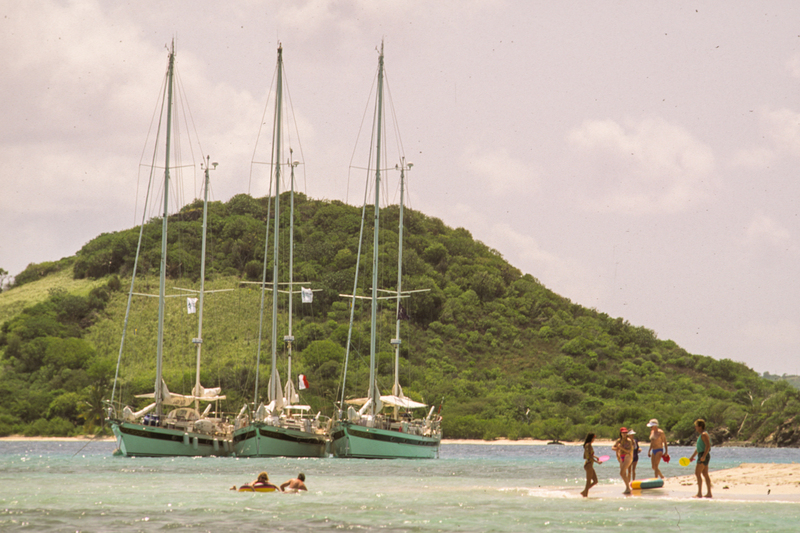 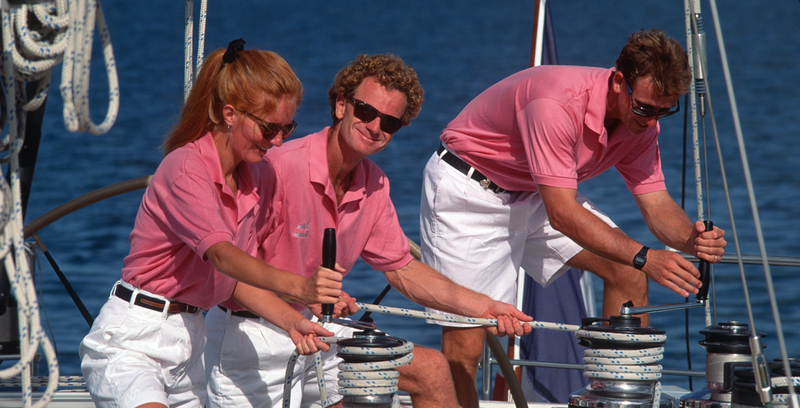 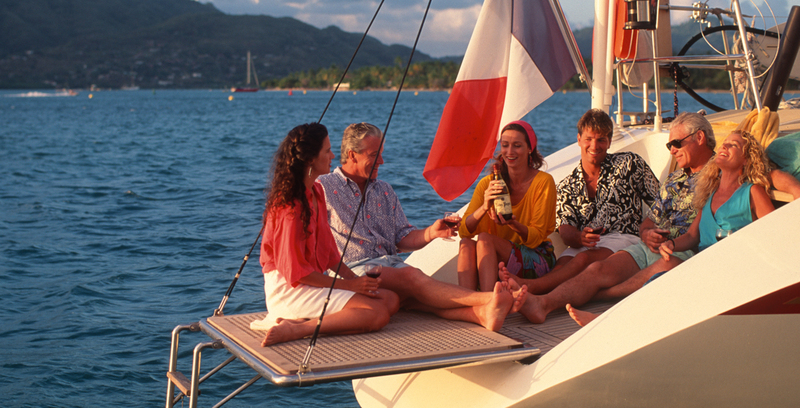 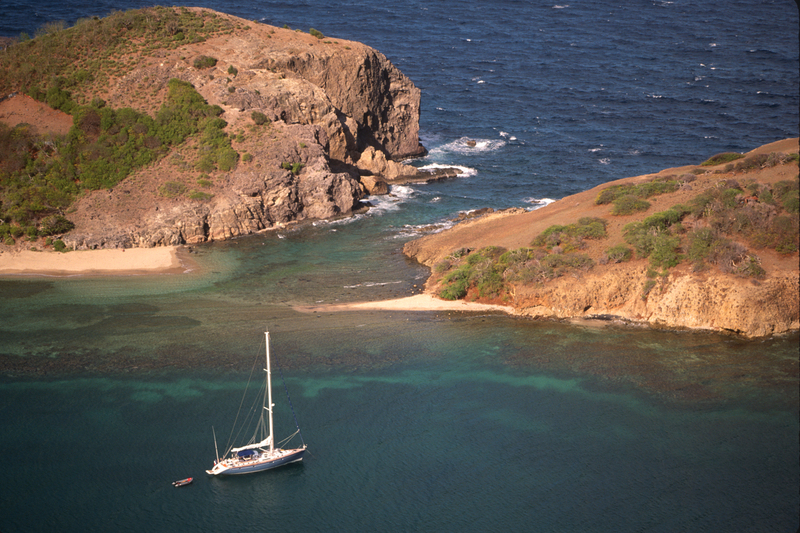 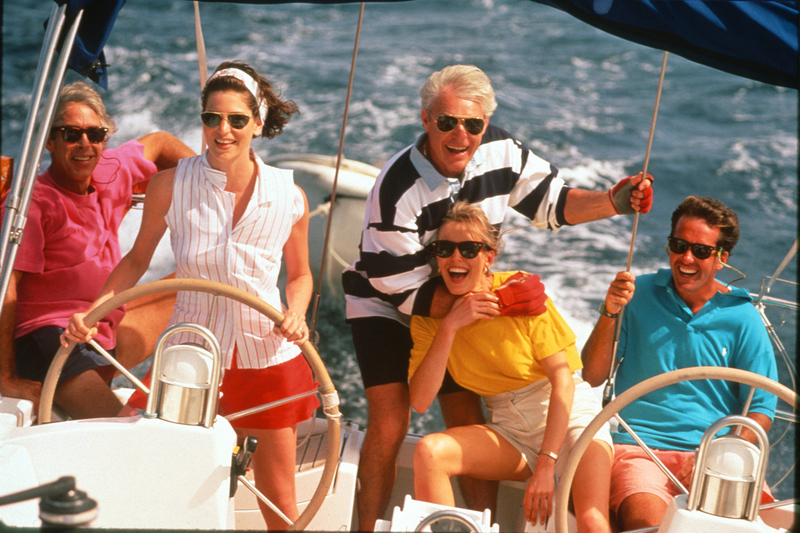 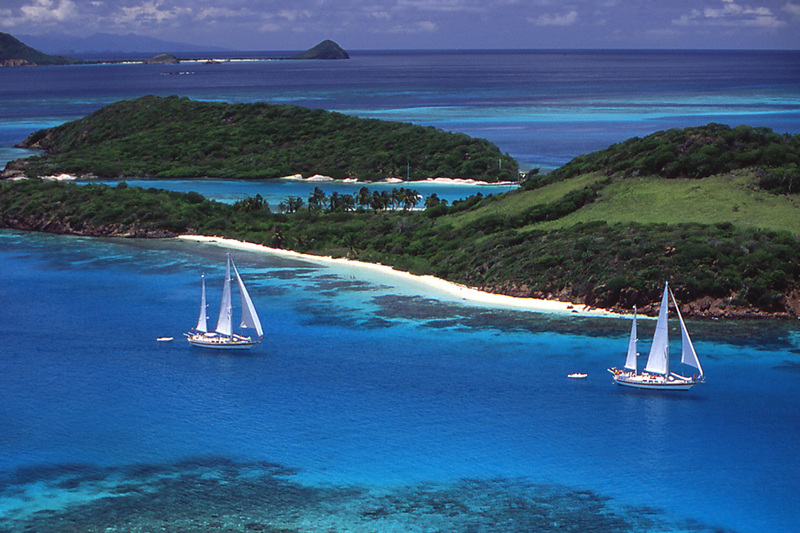 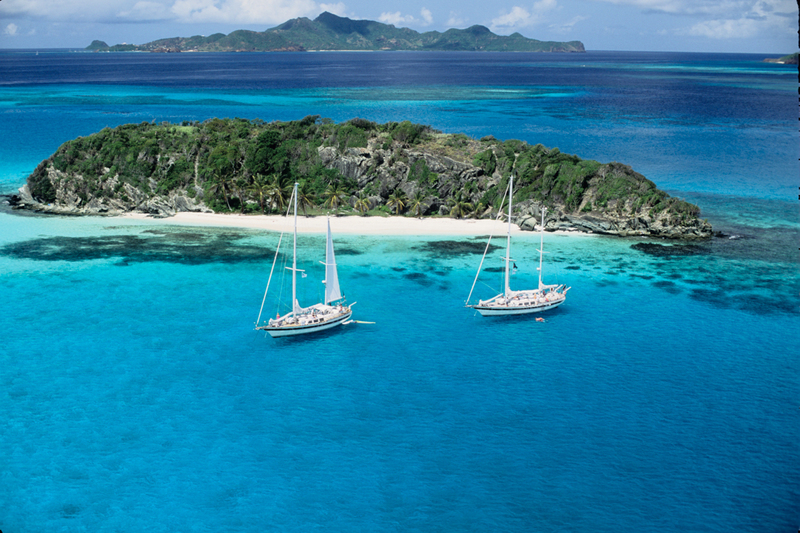 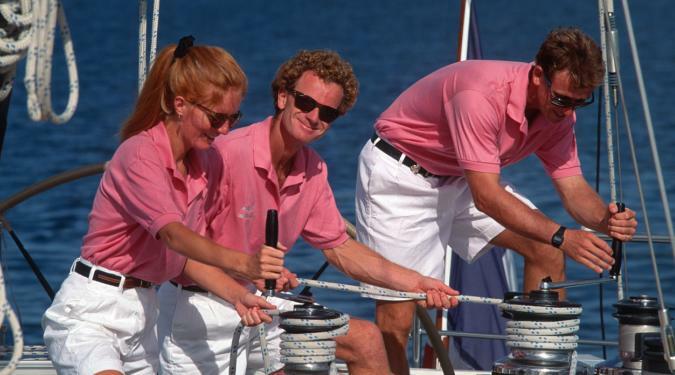 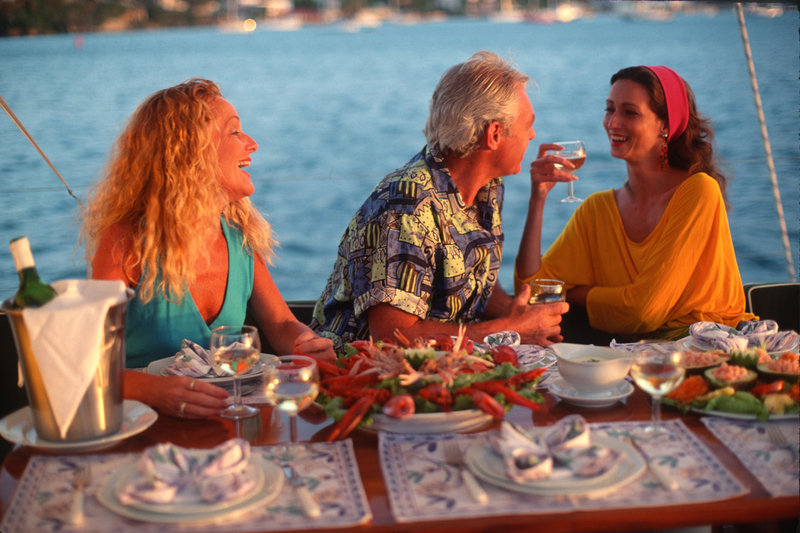 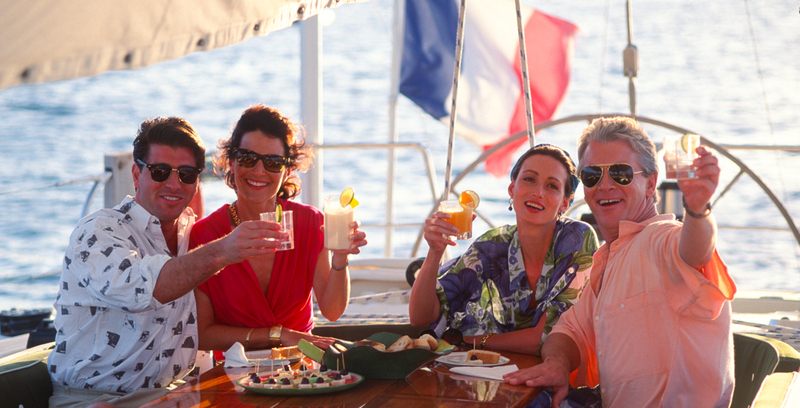 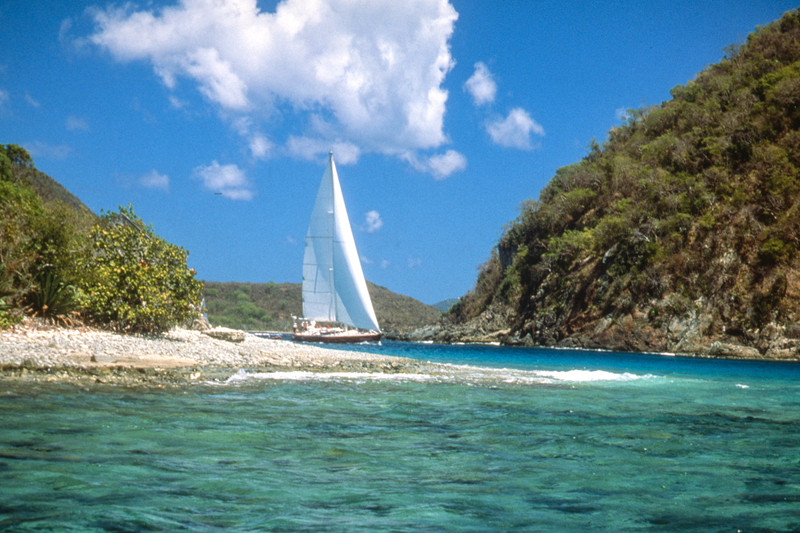 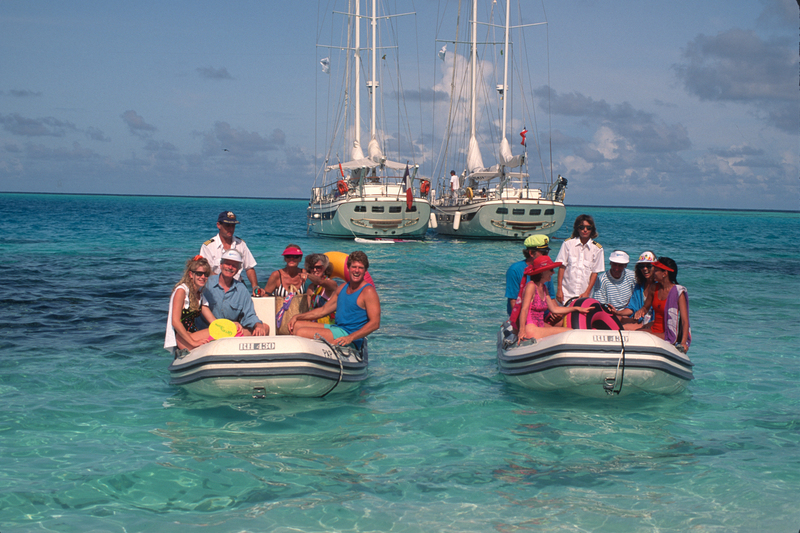 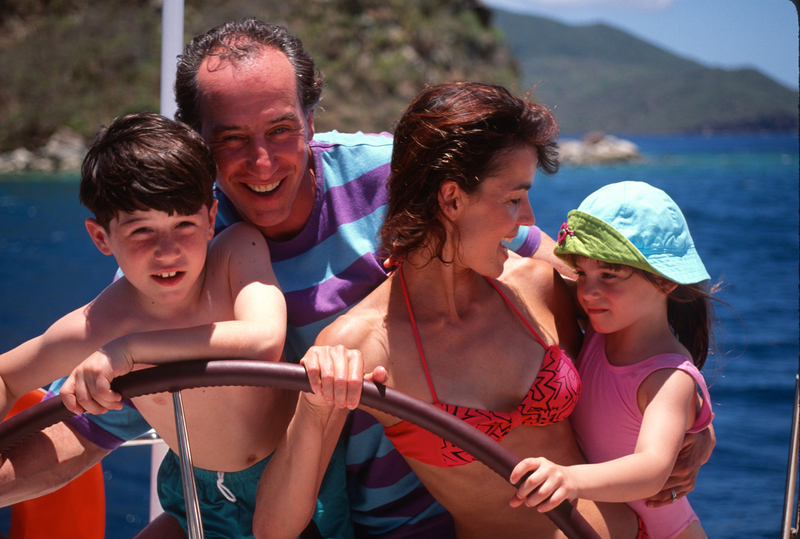 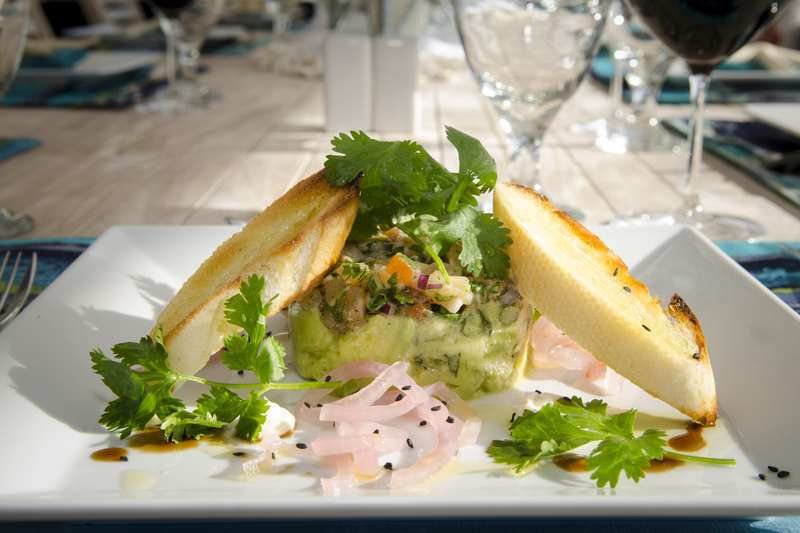 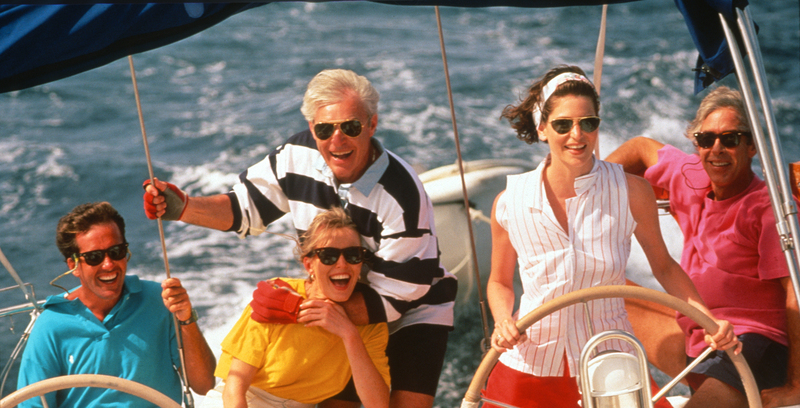 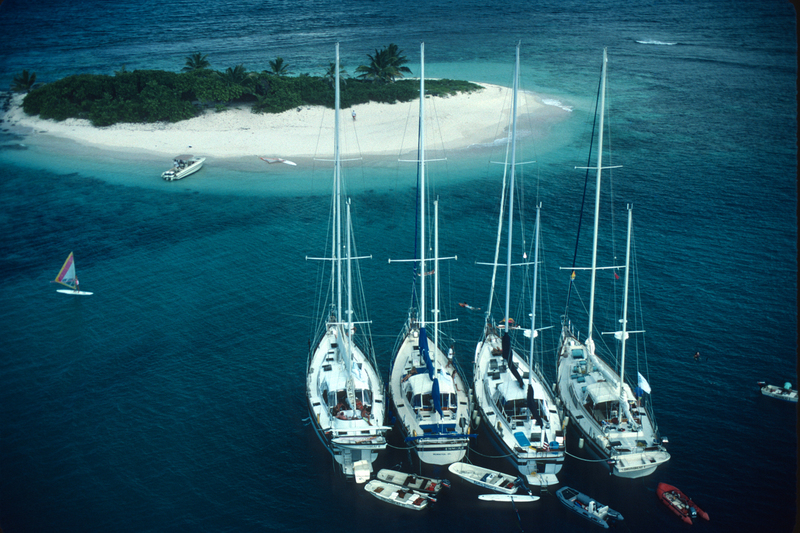 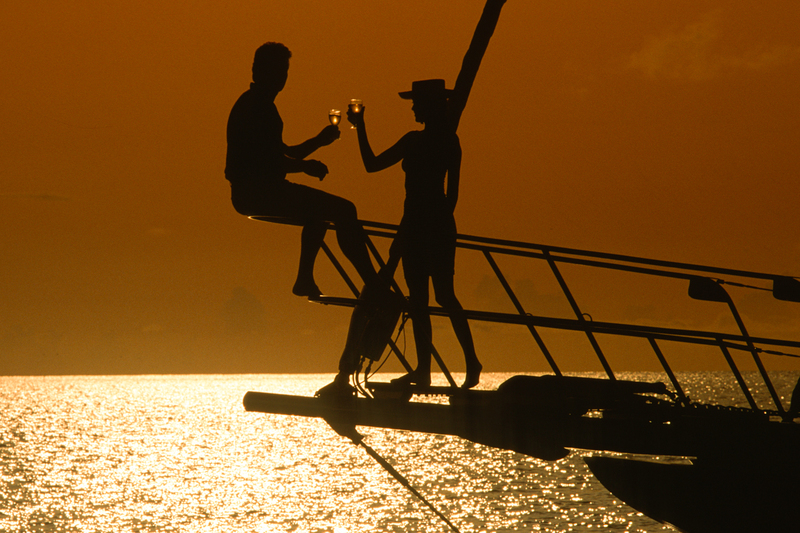 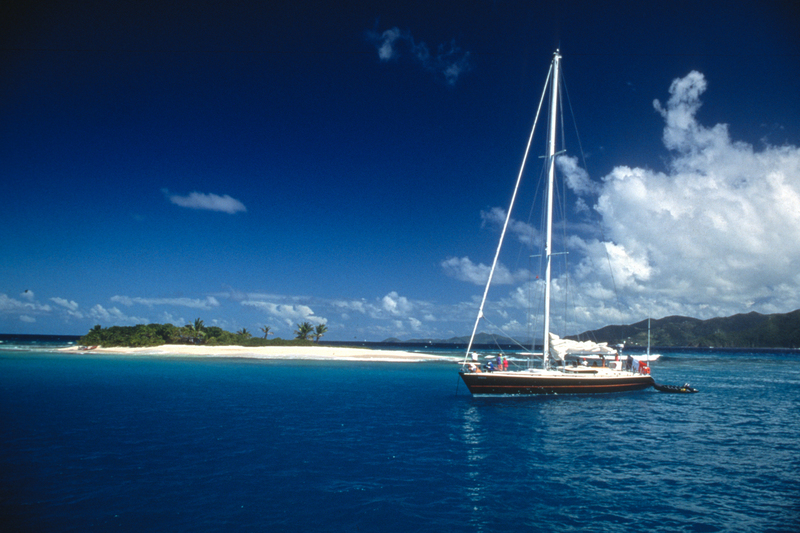 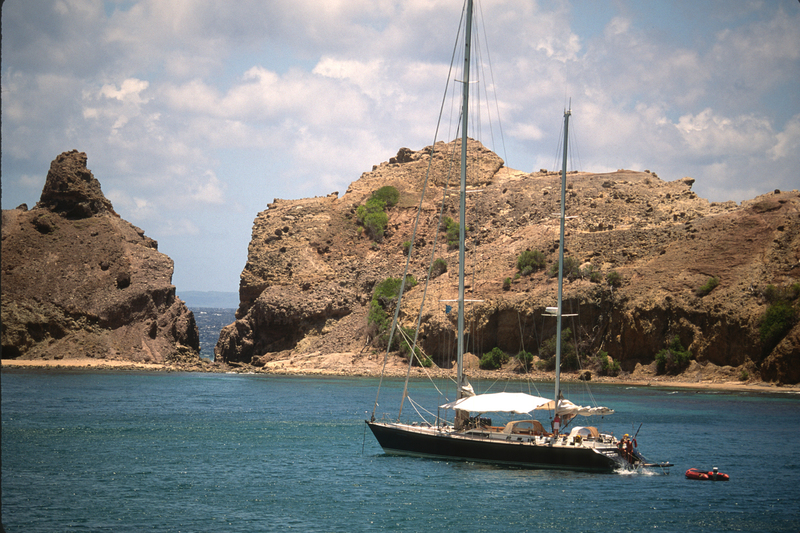 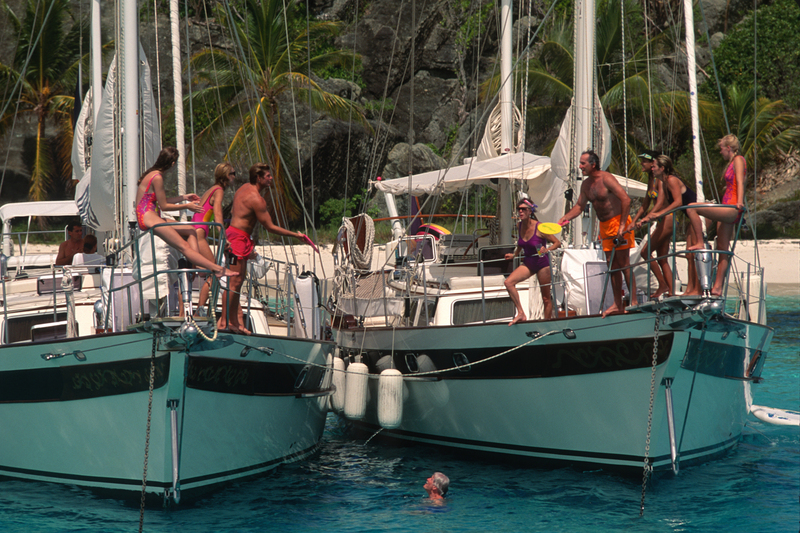 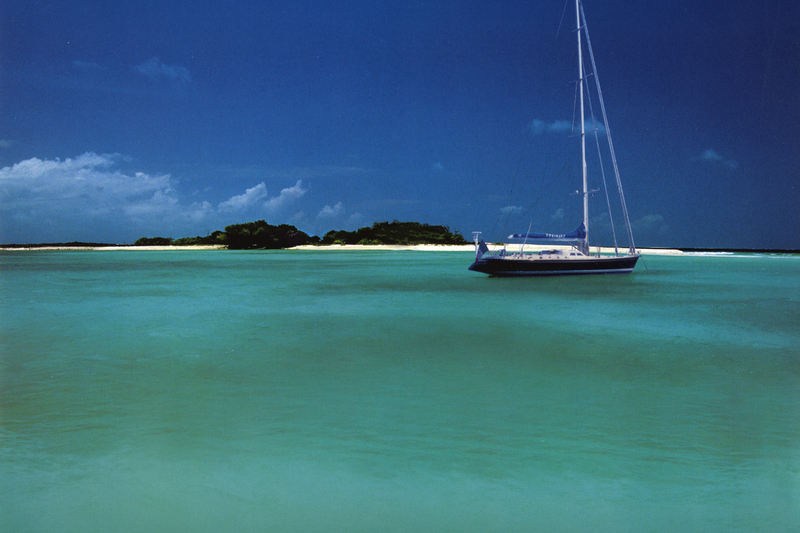 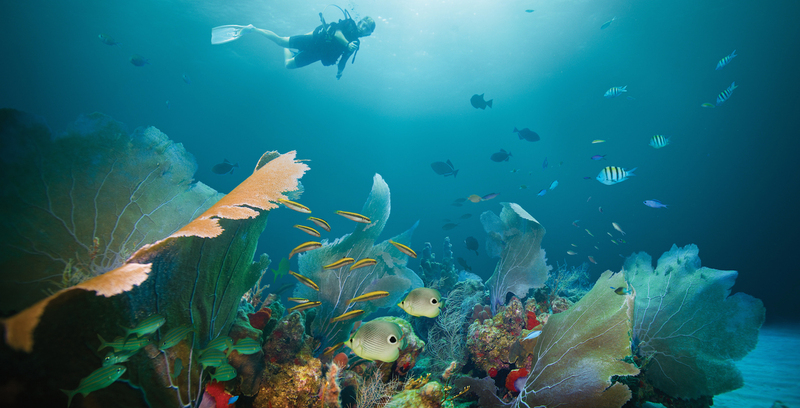 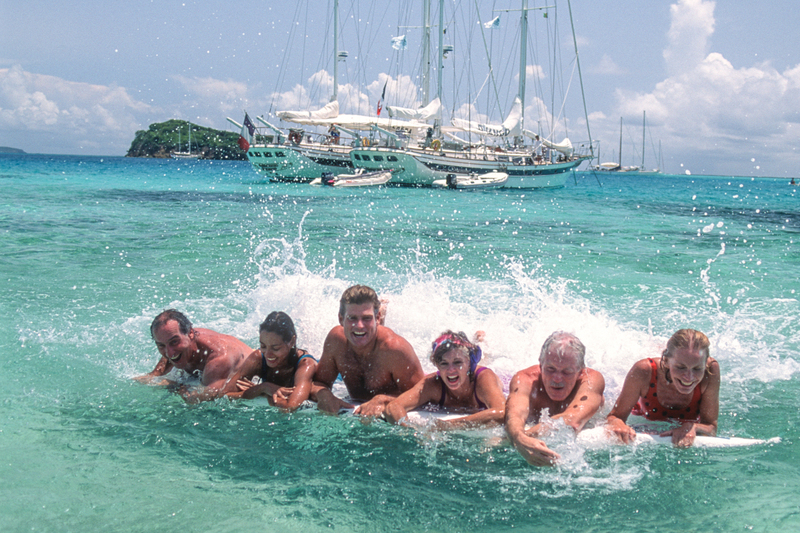 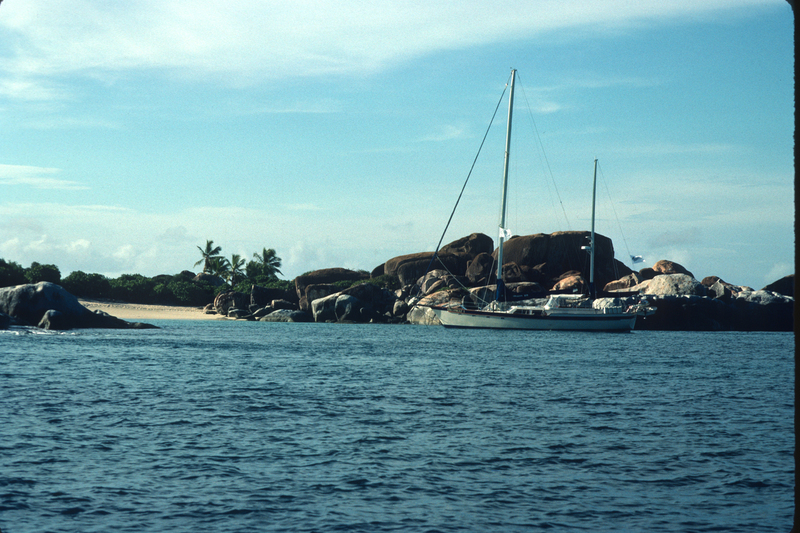 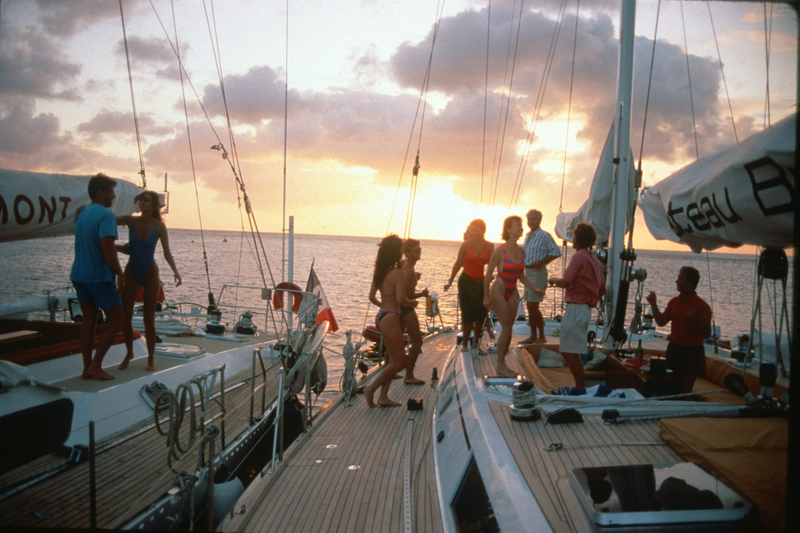 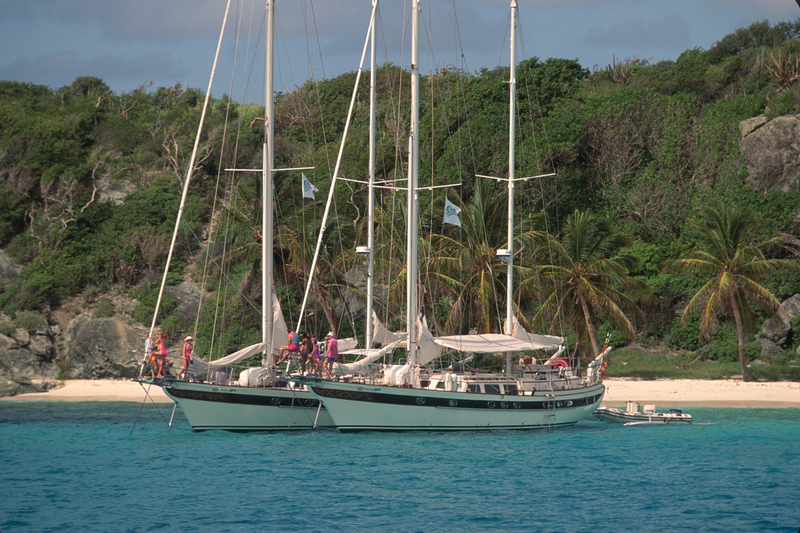 They know the islands well and are eager to share their passionate zest for sailing and life. 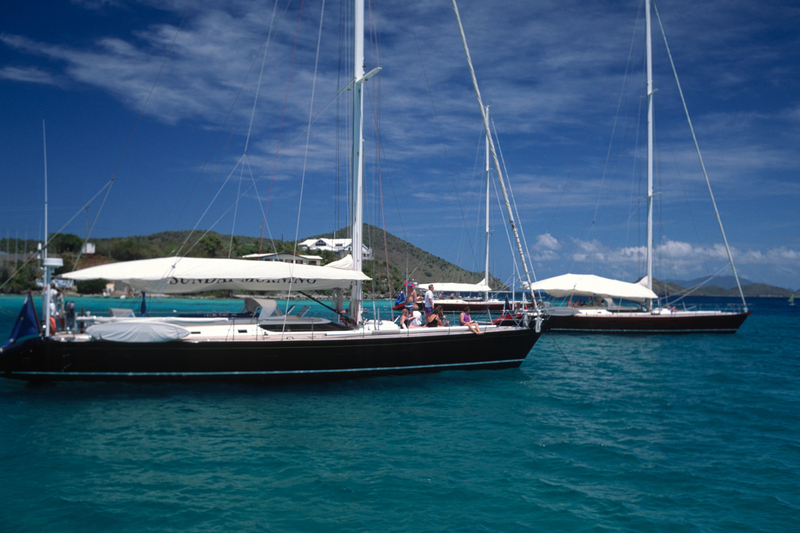 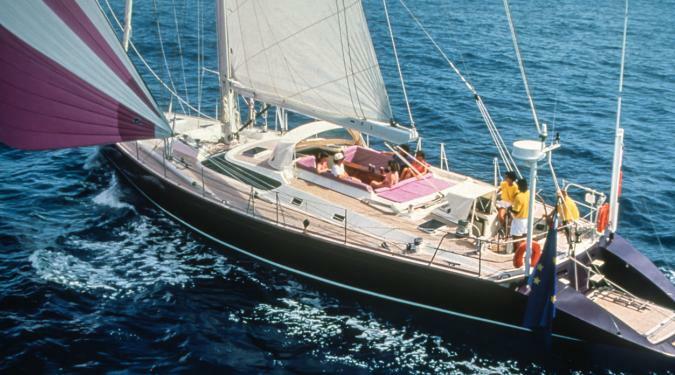 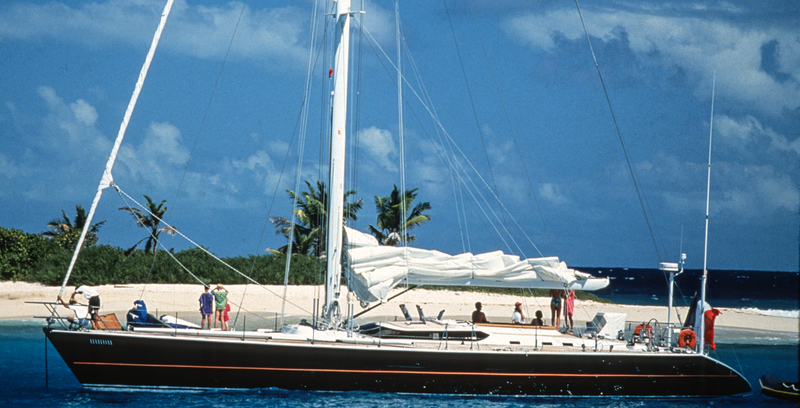 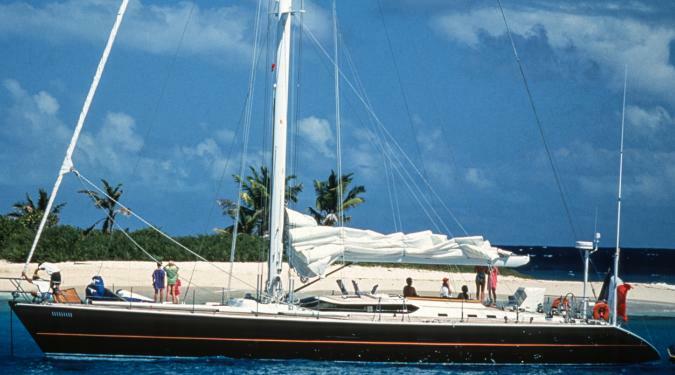 Sailing vacation yachts that are 70 feet and larger generally have more crew with increased service. 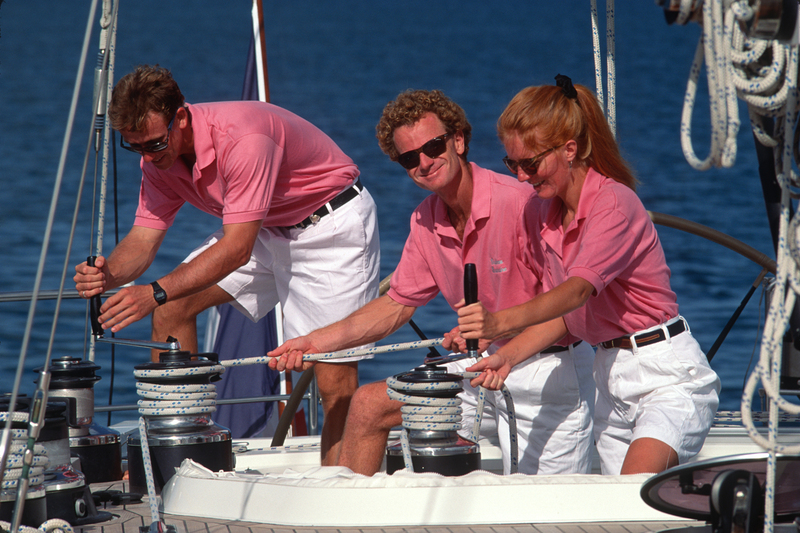 And of course, the 200-300 footers can have crews of 15-20. 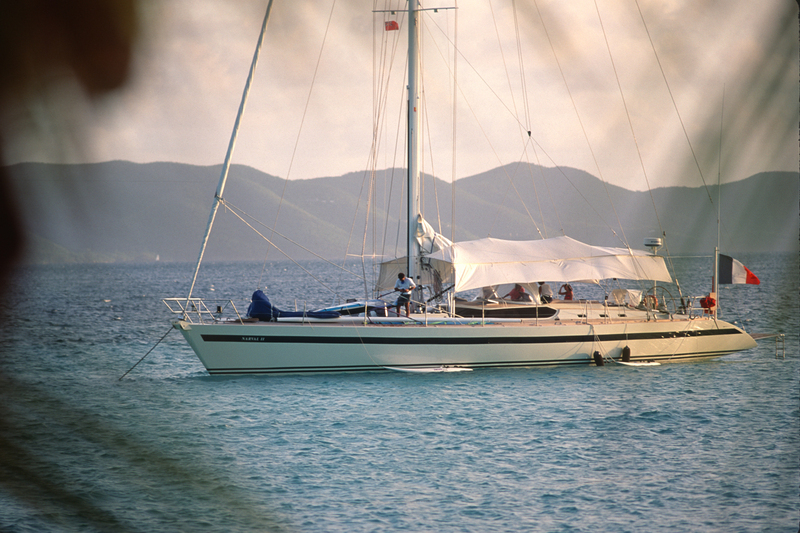 Want to take the helm? 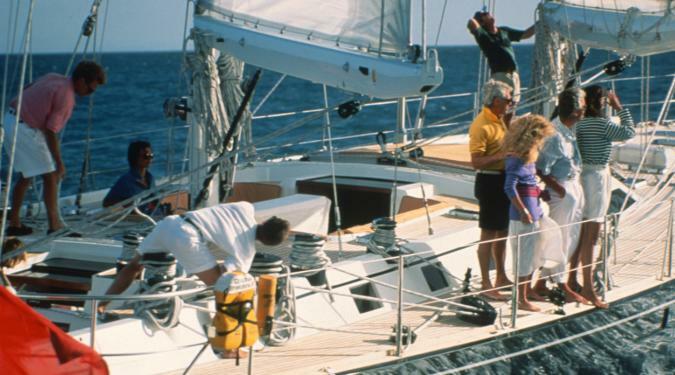 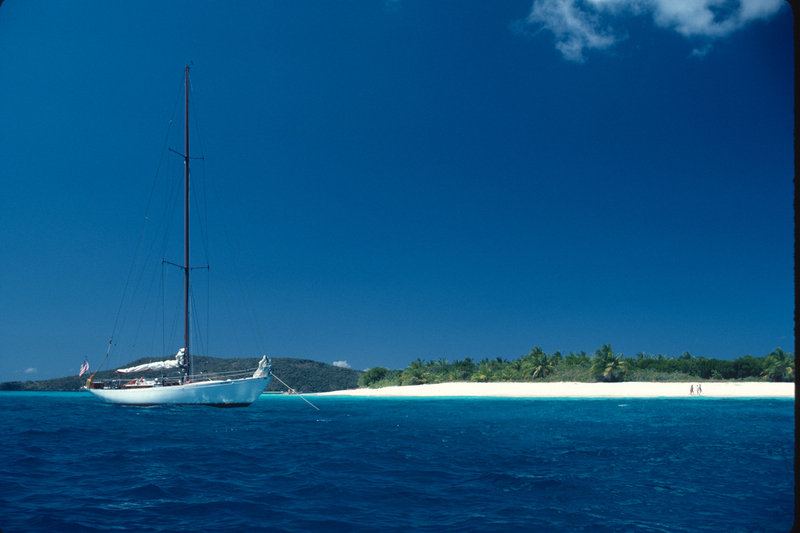 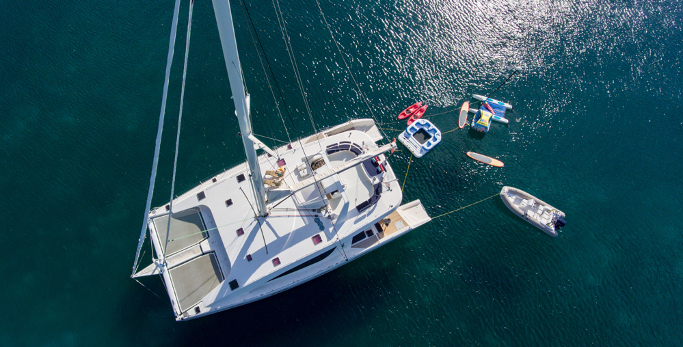 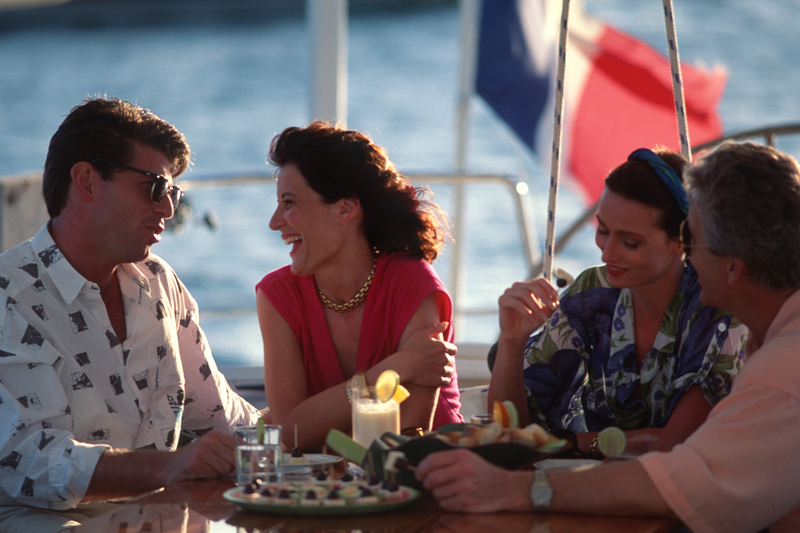 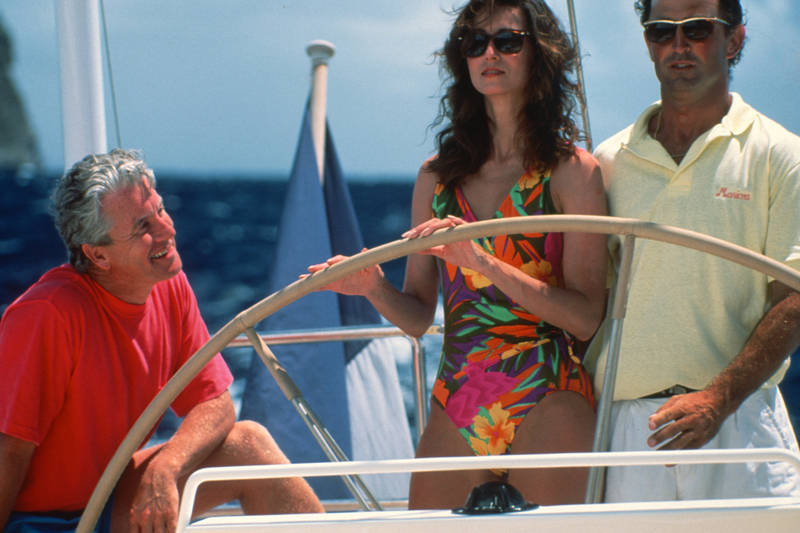 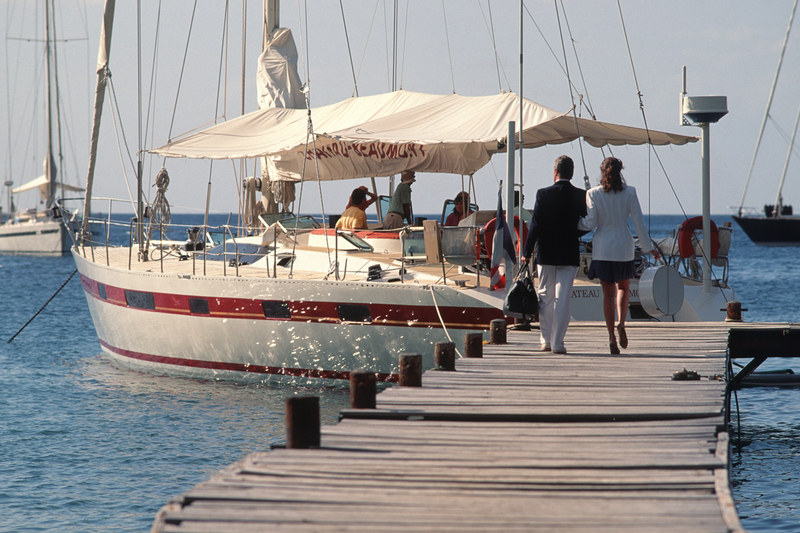 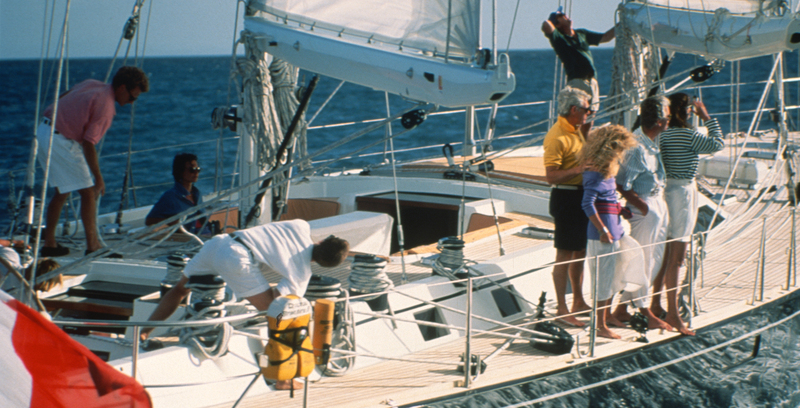 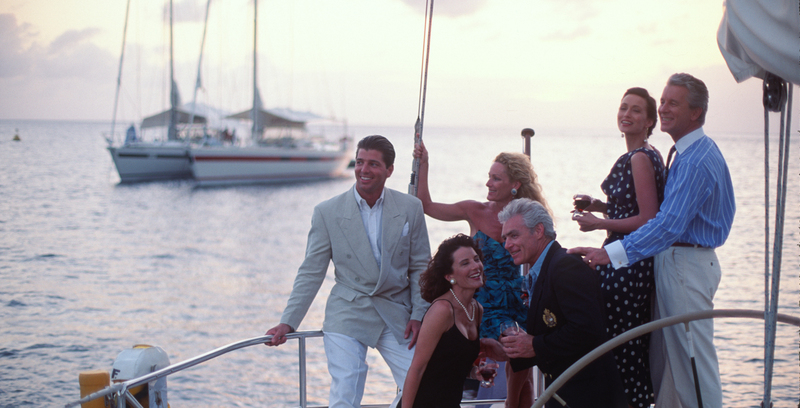 On smaller luxury sailing yachts for charter, you can take the helm and learn the ropes. 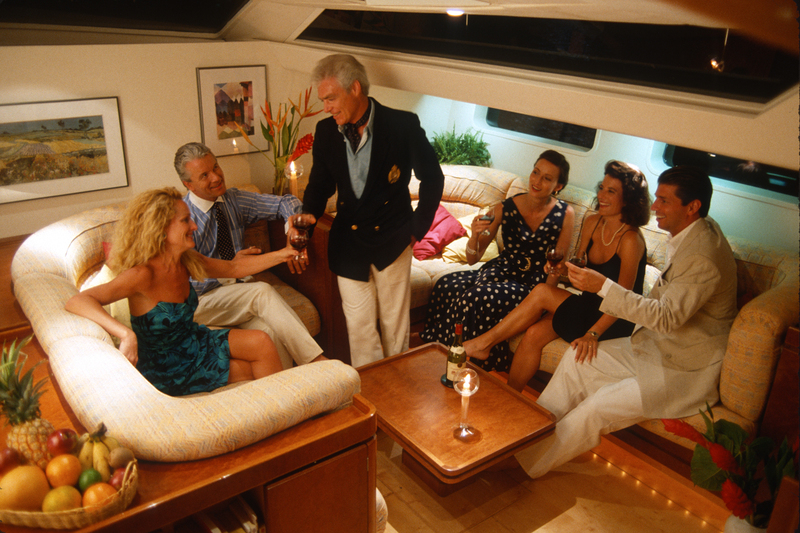 On larger yachts, the sailing is often more push button, but the captain would be delighted for you to join him at the helm and feel the thrill of the helm in your very own hands. 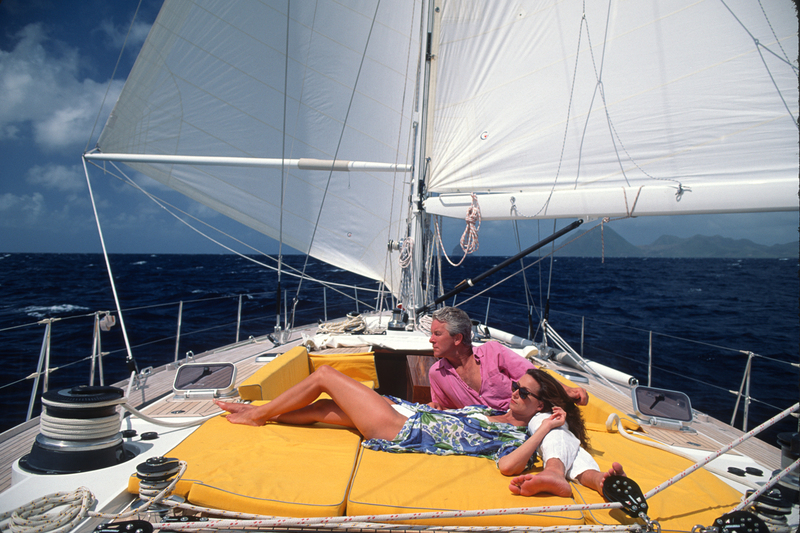 Contact us with your preferences and we will help you select the ideal sailing vacation yacht for your next adventure. 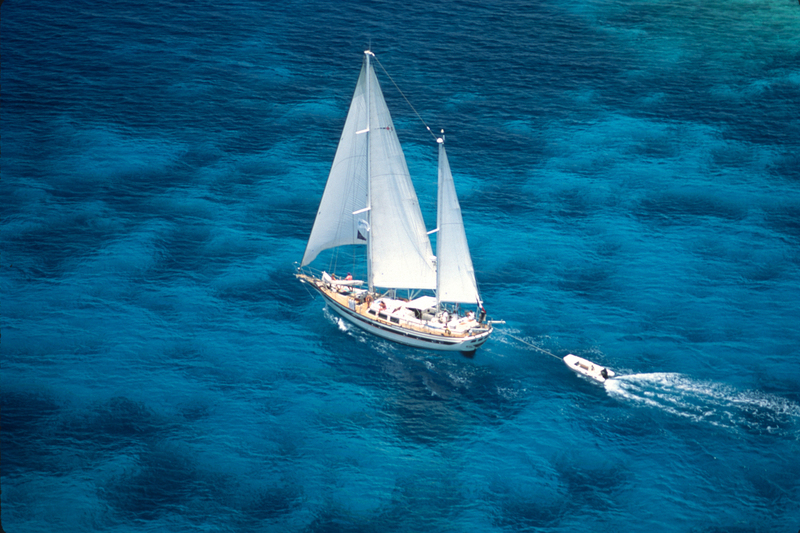 Experience the exhilaration of being moved by the wind in a tranquil sea where the only sounds are the wind, the ocean, and your own laughter. 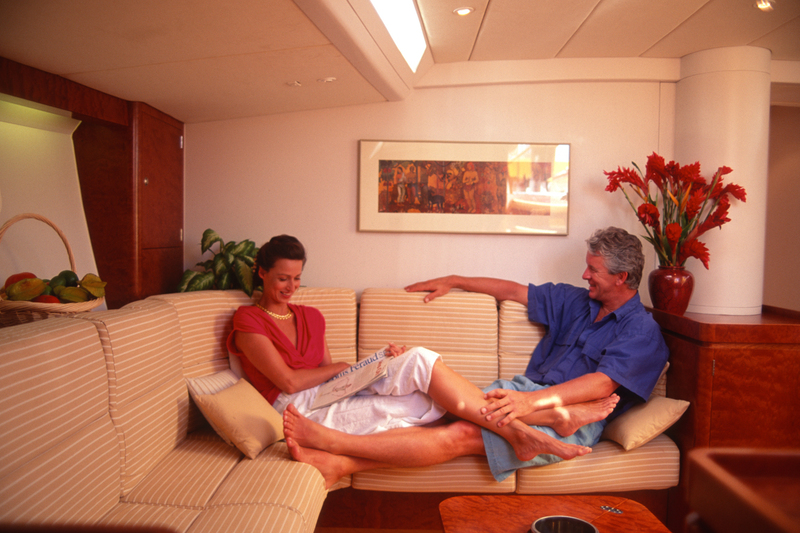 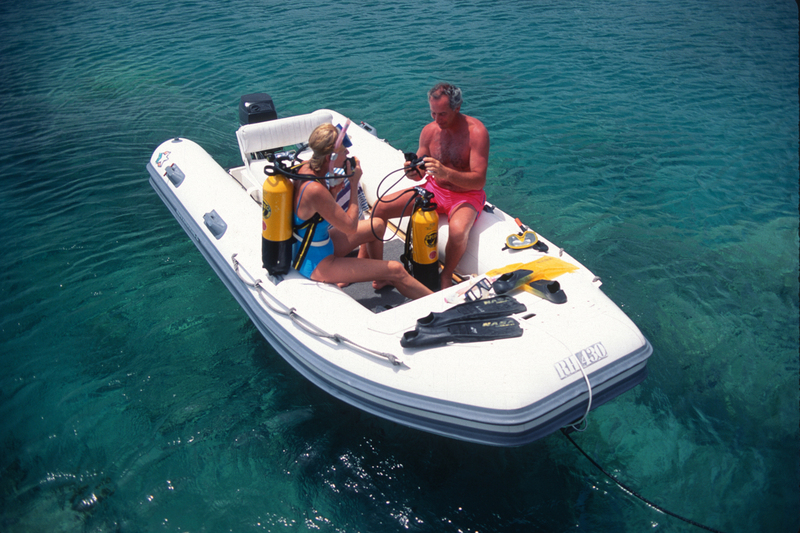 Eco-friendly and a great choice for people seeking relaxation with a taste of adventure - no hurry to get anywhere. 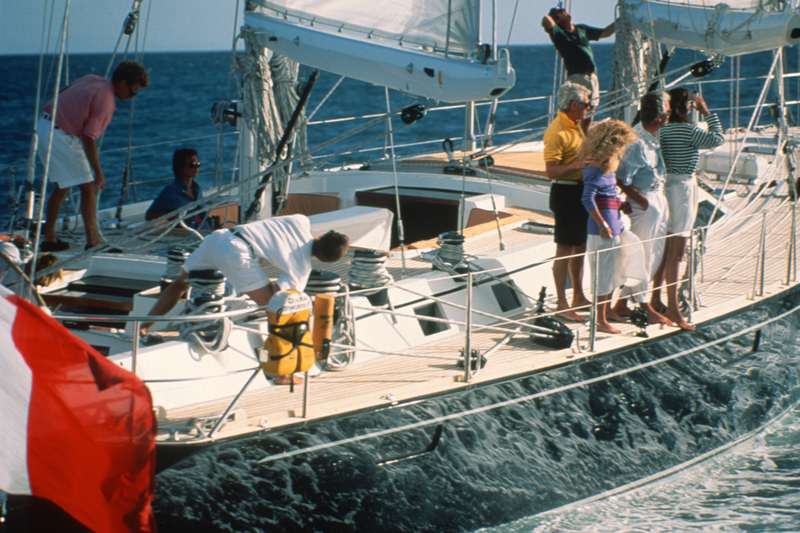 A Typical Example of a Sailing Yacht Charters Deck Plan. 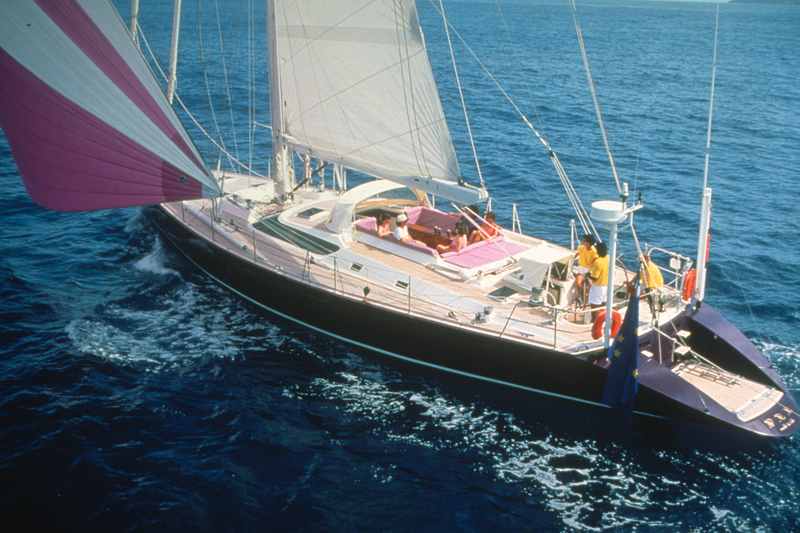 Deck Plan shown is for the yacht named Chateau Branaire, a 87 foot yacht built by CNB Bordeaux in 1990.